There was sadness in Comrie as hundreds gathered for the funeral of Johnnie Carmichael on Monday. But there was also laughter as it seems everyone has a funny tale to tell involving the much loved Shaky Village stalwart. John Alexander Carmichael was born on March 4, 1939, first son of Bella and Andy. Born and bred in Comrie, Johnnie left school at age 15 to go into the building trade as a joiner. Many will remember Johnnie’s early days playing guitar around the village with his pals and he was a singer with The Viscounts, playing gigs around the Strath. He also went to audition for a local Celtic folk band because their previous singer, Joan Robertson, had been told by her school head to give up singing at the weekends and concentrate on her highers. He didn’t get that job but got the girl and that was the beginning of a partnership that was to last for more than 55 years. Johnnie and Joan married on July 7, 1962 after which Johnnie had to return to his National Service in Germany. However, just seven weeks later Johnnie’s dad died and it was decided, with the Government’s approval, that he would return home to help his mum and younger brother Drew. The young married couple took over the running of the family business, which had begun in 1840, with Johnnie seeing to the workload and Joan in the office. The business went from strength to strength, employing not only joiners but builders, slaters and plasterers. And Johnnie was well known in the area for giving young apprentices a chance. 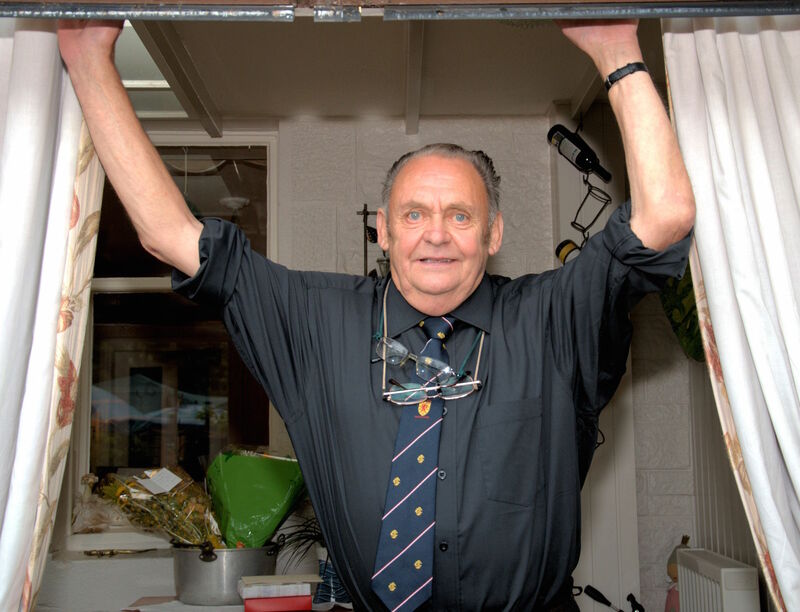 Full of fun, Johnnie liked a good night out – and a good night in with his many friends at his own custom made bar in the house. He also enjoyed holidays with his family and friends and spending time with his dogs and his hens and his rescued goose, which was found injured in the road and brought to the Carmichael’s for Christmas dinner. However, kindhearted Johnnie soon nursed the goose back to health and to this day it is still a family pet 24 years later. Further afield he was known as “Scotland’s greatest fan”, travelling all over the world with Joan and the Tartan Army to support the Scottish football team. He retired in 2006 following heart surgery, passing the business into the hands of son Barclay and daughter Andrea. The latest addition to the family who will enjoy hearing stories of her well kent great-grandfather is Phoebe, who was born a month ago to granddaughter Lianne. Johnnie was Comrie through and through. Over the years he was, amongst other things, a community councillor, a Comrie Golf Council member, involved in the Civic Trust, a senior Mason and a Trustee of the War Memorial Institute Committee. He loved the village and its people and would always have a smile on his face and leave you with a smile on yours. 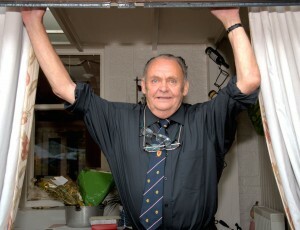 RIP Johnnie, you will feature strongly in tales told of Comrie for years to come.